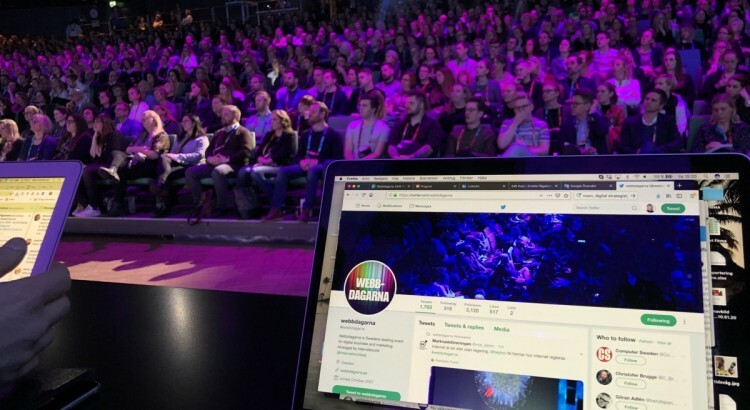 Today I had the honor to be part of the editorial team at Webbdagarna in Stockholm for the third time, getting a front-row seat to the headline speakers at Sweden’s largest event for digital business. I thought to summarize my key-takeaways and learnings from day one, since new ideas are always key to succeeding and staying on top in a digital world. We shouldn’t just accept the future, but rather question and challenge it. Angela Oguntala is director at Greyspace, a design and futures consultancy, and was the first speaker of Webbdagarna this year. Angela spoke about trends and changes in society, and that we often tend to just accept future scenarios that are presented to us. Instead of just accepting, we should consider what future we want and if we want to accept certain technologies taking over or not. For instance – do we want machine learning algorithms to handle interviews just because we have the technology in place? Or is the person to person interaction more important? The best way to go forward is to experiment in the phase between now and the future, the transition phase. When we experiment we are also faced with challenges and scenarios that we need to reflect upon. This is what helps us figure out what future we want, and what consequences it can entail. We spend a lot of time talking about products, but there are so many great products out there today. What really sets one brand apart from another is the customer journey, and building a relationship with the customer. Telling a story, more than trying to sell. As marketers we should be spending 80 % of our time trying to answer the question ‘how can we matter in people’s lives?’ If we figure that out, we’ll automatically start selling more. This claimed Arvid Axland in his talk about ‘chasing a feeling’. Jono Alderson, digital strategist, spoke about how the digital marketing landscape is changing. Our brand website is not as relevant anymore, but rather interacting with consumers on social platforms. Above that – digital personal assistants (Google Home, Alexa, Amazon Echo, chatbots etc.) are about to change the rules of the game completely. In the near future we might not do our own online searches anymore but rather ask our digital assistant to solve a problem for us. If we ask for a certain product, the assistant will recommend three products based on our preferences. As marketer we need to find ways to make sure the digital assistants recognize our brands as the preferred choice of the users. For brands to become relevant in the future, they need to focus on being the preferred brand of choice by the consumer, before the consumer even thinks about their need to buy. Urban Lindstedt, journalist and host of the podcast E-handelstrender, spoke about Amazon and what might happen if the company establishes itself in the Nordics. 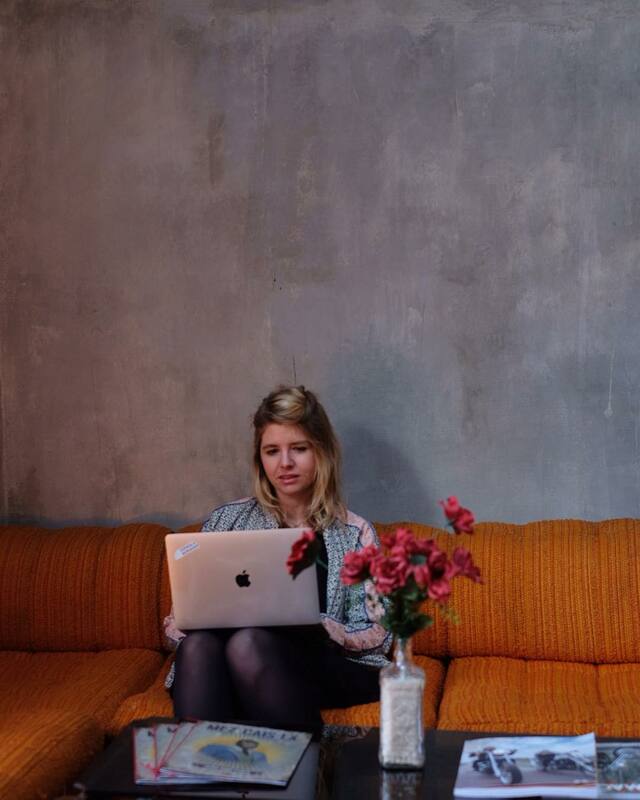 Many circumstances point towards a launch in Sweden later this year, which has been predicted to be a major game-changer for the Swedish e-commerce space. Urban meant that instead of being worried we should focus on the possibilities with a launch – and claimed that local players still have a role to play going forward. They can utilize Amazon to reach a wider audience, and still compete based on consumer preference, customer service and local knowledge. For best-practice inspiration, Urban referred to Apotea, who he believes has one of the best business strategies of the Swedish e-shops, many thanks to their ultra-quick (same day) deliveries. Internet is like a state without a government. We are all part of deciding what should be ok and not ok online. Facebook shares our data with thousands of sites. Are we ok with that? If you are a company, organization or government agency – ask yourself if all the data you are collecting is really relevant. Because you are doing society a disservice if you are just storing and sharing data for the sake of it. Mattias Beijmo gave a thought-provoking talk on how we are all being ‘watched’ online. Data privacy and ownership is set to be a major point of discussion going forward.